These are great questions that we frequently receive! A lot happens here at Miracle Camp, and we want you to be in the know. As observed from our name, we are a camp and retreat center. But what do we actually do? Who is Miracle Camp for? Everyone. All year long, we host different events for specific age groups and demographics. We create programmed events designed for youth, women, men, married couples, families, mothers and daughters, fathers and sons, pastors, and more. Some new additions we will feature in the coming year are our Mother/Son and Father/Daughter retreats, as well as a retreat geared toward Young Adults. Additionally, we offer our space to guest groups who want to hold a retreat of their own. Glad you asked. Guest groups include people from churches to family reunions to colleges and a variety of other groups. Miracle Camp aims to provide a retreat atmosphere so guest groups can enjoy nature, a comfortable space to meet, good food, and fun activities. Want to book Miracle Camp for your next retreat? Call or send us an email, or click the button below for more information! What activities are offered in the colder months? Though the waterfront activities are not in use during the cold season, the fun doesn’t stop. In fact, one of our busiest seasons is winter, due to our youth Ice Camps from January to March. 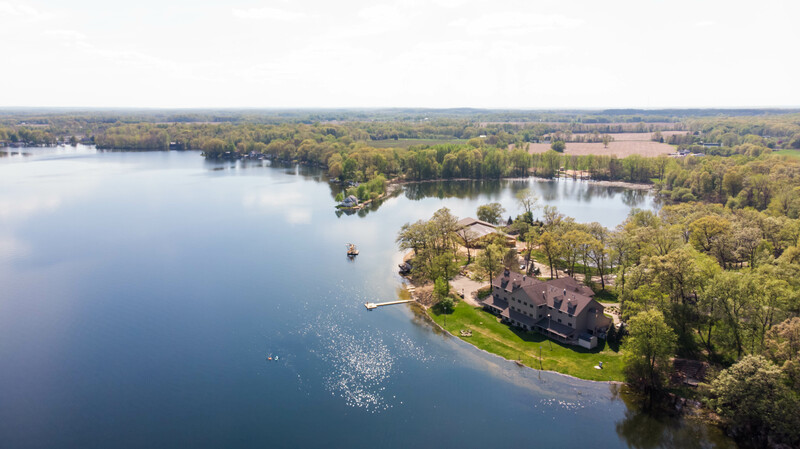 The beautiful Michigan winter is the opportune time for our outdoor activities such as snowshoeing, winter tubing, snow field games, broomball, etc. Warm up with a hot drink from the coffee shop or join a group of friends playing board games. 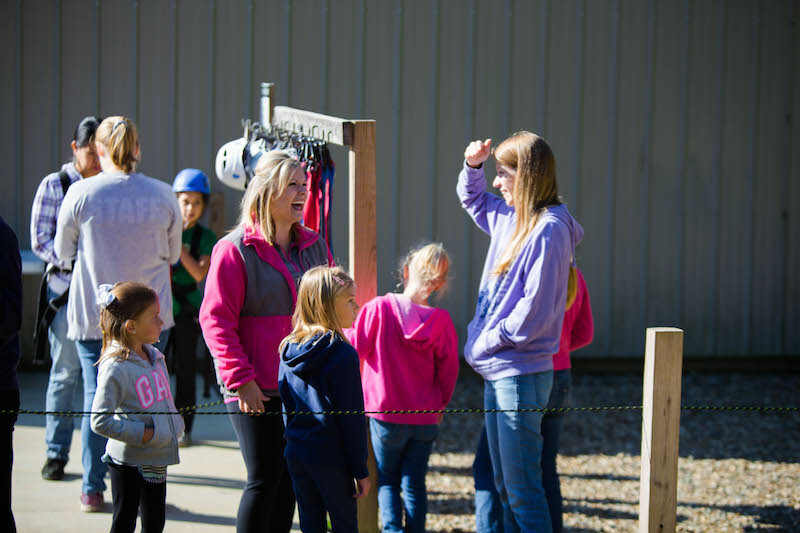 Our craft shack, gymnasium, game room, and camp store are available year-round as well. Why does Miracle Camp exist? Miracle Camp aims to facilitate life change by helping people grow closer to God. We desire to glorify God in everything we do, from planning events to running activities to preparing food. Ensuring that we provide a biblical focus with excellent hospitality is a top priority. God has given us this space for a purpose, and we want to share it with you. For more information about Miracle Camp, our mission, or events we offer, click the button below! A lot is happening with the Evergreen Project, and we are excited to share an update! Most recently, concrete floors have been poured. They are now completed in the interior gathering area between the bunkhouses as well as the front and side porch entries. We are thrilled to have a volunteer group from Morton church next week that will begin working on the building’s exterior siding and overhang. One of our goals is to get the eave-spouts and downspouts installed soon to prevent all the rain running off the roof from washing out the hills that lead down to Bankson Lake. The next phase of this project is to install the underground plumbing so the concrete floors can be completed and stud walls erected for the bunk rooms and bathrooms. This will also allow us to install all the exterior doors and close up the building before the cold weather gets here. We will then be able to continue the work on the HVAC and electrical installations throughout the winter. Stay tuned in the coming months to see the progress! To find out more about the Evergreen Project, click the button below! New Miracle Camp Gear is Here! Our new Miracle Camp gear is in and we are so excited to share it with you! Check out our new T-shirt design in two different colors with the coordinates of camp. 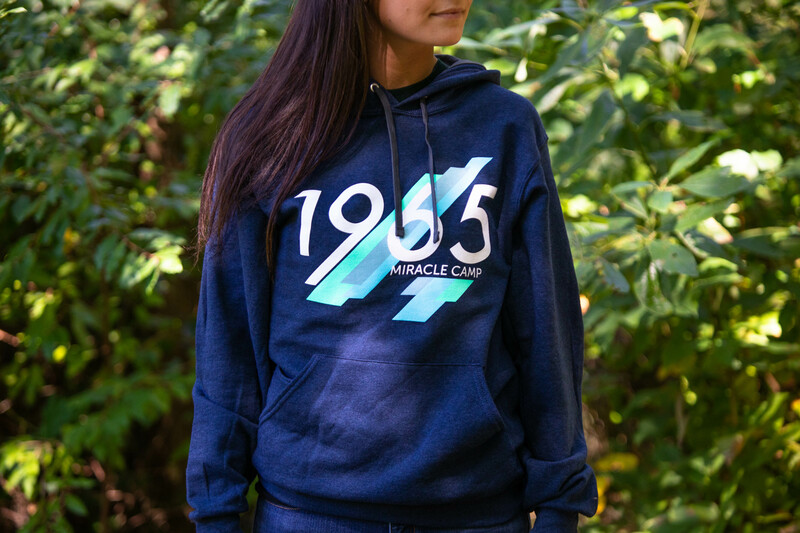 Get ready for the fall and winter with our brand new hoodie. Represent Miracle Camp through an assortment of our new bags, stuffed animals, water bottles, and more. Get your game on in style with our dodgeball shirts in both blue and yellow! Click the button below to visit our online store and get your merch today!